The million dollar questions asked by many is “why is Twitter so popular?” Just like its little bird icon, Twitter seems to be forever flirting and twitting. Today, it’s one of the most popular and effective online social media tools on the planet. If you’re looking to create buzz anywhere from announcing a business event, letting people know about your latest project, or simply to stay up some of the latest business trends, Twitter has positioned itself to be inexpensive and incredibly effective means of communicating. In short, Twitter is an excellent way to market your business. A great way to connect with prospects and customers is to host a Twitter chat. It can help you build authority for your brand and gain new business. So, it’s necessary for you to first learn how to prepare, host and promote your Twitter chat. Be sure to invite influencers. Reach out to your supporters and influencers who can help make your chat a success. #1. Stay relevant with your audience. You need to stay relevant to why you’re hosting a Twitter chat. Will the chat be for coaching, training, support, or to provide relevant information for a topic? Your Twitter chat has to stay relevant to your audience’s needs. #2. Tie your chat into an editorial calendar. Your Twitter chat content should be directly linked to your topic theme of the month. When people participate, they’ll have an expectation of what’s to be shared. This eliminates all the guesswork for your participants. Make sure the content is strategic and targeted to address what people are talking about. Just think of your Twitter chat as an extension of your content marketing efforts. #3. Be sure to invite influencers. Reach out to your supporters and influencers who can help make your chat a success. Never assume that influencers will just show up without an invite. Reach out and personally invite them through direct contact or even posting on other blogs of interest. Let them know your Twitter chat will be a great fit for their agenda as well. When hosting a Twitter chat, make sure to be a great host and connect with guests on a personal level. #4. Be a great host. After all, social media is all about showing up and connecting with others on a personal level. Look at the profiles of those attending the chat. This allows you to connect on a first-name basis. This makes people feel important and welcomed. Encourage everyone who attends to follow you. Then, encourage them to follow each other as well. This method can quickly help them strengthen and build their own networks. It’s all about keeping the social media element in social media. It doesn’t have to be rocket science. #5. Promote your Twitter chat. This is one of the most important elements in the hosting process. Whether at events, blogging or posting to your website online, talk about your upcoming chats along with mentioning the success of your past chats. Be fun and professional. Show up to your chats and just be yourself. Your objective is what will drive everything about your Twitter chat. Again, your topic of choice should always be totally relevant to your audience’s concerns and interests. Dig into your topic and conduct some stellar research. This will no doubt provide some excellent questions and key points that can cover your topic from a number of angles. It’s a matter of researching what your customers need and questions they’ll need answers to. Checking out other Twitter chats is an excellent way to find out how they’re set up, what’s being discussed, and how people are engaging. It’s also a good way to find out how chats actually work. You can find out who’s invited, what questions will be posed, what topics will be discussed, and what time the chats will be held. Joining in on a chat can offer valuable insights and help you build expertise. Google offers an online spreadsheet with Twitter Chat schedules. There, you can find the chat description, host/moderator, additional information, chat link, and the day and time of the chat. This makes it a bit easier to find and get involved at the granular level. You can also list/post your Twitter chat schedule here. There’s also a vibrant list of ongoing chats. Spend quality time finding a topic that will appeal immensely to your target audience. Remember, it’s like everything in marketing, it should provide value to those who will attend. It’s not about you or your company. It’s about the value your company and its products/services can provide to others. The great thing about your chats is that you can re-purpose them for blogs posts and for every social media venue where you engage customers. Inspiration for your chat theme can be found by listening to what people want and need help with. When you pick your topics, create a new website page that covers what you’ll be talking about and when. Be specific and include details about guests who may participate. Choose your hashtag carefully. Make sure it defines the topic of the Twitter chat. The hashtag is an easy way for people to search for tweets and topics of interest. Entering your hashtag into the search box, correctly, can take you directly to the right source. Your hashtag should fit your brand. Make sure it’s not too close to a hashtag that’s already in use. It’s a way of creating communities with others who are interested in the same topics as you. It makes it easier for them to find and share relative information. Choosing the right time to hold your chat is important. Typically, the best times for your chat will be between 6 pm EST, and 10 pm EST. Scheduling the meeting correctly can be a challenge, especially when considering there may be a clash with other chats. Once everything is in place, the next order of business is to prepare some awesome chat questions. Focus on asking questions that will yield answers to address your audience’s concerns. Seven to fifteen questions should suffice. Open Discussion – 20 minutes should be ample time for a robust exchange of thoughts, questions, answers and ideas. Keep your guest list at a minimal, and relevant. Twenty guests should suffice. These are people who will be willing to jump into the conversation. You can also choose a moderator or two. You’ll need assistance in getting your message across. Moderators can also help you enroll people and promote the event. Your panel should include at least 20 people, and no more than 25. You should also have a commitment from a majority who will attend. Hosting a Twitter chat can make your followers feel that you’re trustworthy and serious about providing great customer service as a result of their chat. You’re providing a Twitter chat because you know how important it is for people to be exposed to new and better ideas. The realization should be that your business’s strength lies in having loyal clients who are willing to spread the word about your services and products. #1. 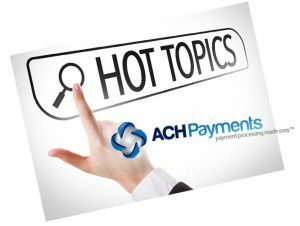 You can receive instant feedback from your chat panel by addressing concerns on the spot. #2. 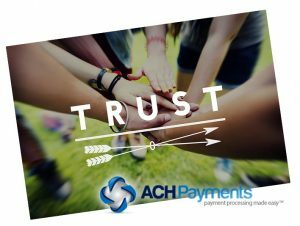 Chat members will naturally feel that you’re trustworthy and serious about providing great customer service as a result of their chat. #3. Chats can offer great insights on how to improve your products or services. After all, these are people who’ve visited your site and feel open enough to be honest. #4. Chat can increase conversions and sales. A chat between you and customers can increase conversion up to 20 percent. #5. Customers who take time to chat are three times more likely to buy your product or service. #6. 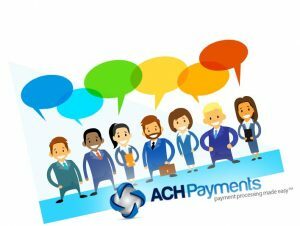 A chat can help improve overall customer satisfaction levels. A chat offers an opportunity for a two-way conversation. You’re no longer just lecturing about your product’s benefits. With chat, you’re able to share ideas. #7. Chats can increase your overall customer service efficiency. The cost of a Twitter chat can be significantly lower than other, less effective, communication methods. #8. 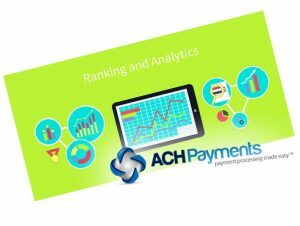 You’re able to analyze and improve future interaction with website visitors, chat participants, and customers. In short, providing a Twitter chat can help you gain invaluable insights that will give your business a competitive edge. Tracking your Twitter chats will help you know what you’ve covered and to be able to analyze the results of a Twitter chat. It’s always good to know what you’ve covered and to be able to analyze the results of a Twitter chat. 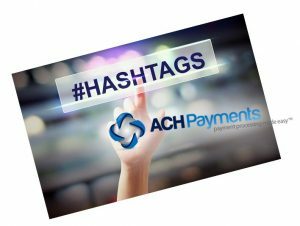 You can use a hashtag directory that includes information about any conferences, tradeshows, special events, chats, and organizations. You may also opt to use a hashtag registry or a brandable hashtag landing page. These can be used effectively to host Twitter chats. You can embed these landing pages into your website, or, they can stand alone. Remember, the purpose of your Twitter chat is to schedule relevant people to discuss a topic online. The topic could be about anything. Hopefully, it’s about something your participants will benefit from. A chat presents an opportunity to meet people, in a non-committed way, with similar backgrounds and interests in a respected online format. Chat just happens to be a great way to exchange ideas in an organized question and answer environment. Insert a host that can help push and monitor the questions and answers. You can even include a guest of honor in the group to help things along. Then, there is always the benefit of meeting new, interesting people online. Sometimes, lifelong relationships are formed. Choose a high-level topic theme that will be generally engaging to all. These are people who can help share your interests, add to your knowledge base, and help build your online brand. Your following count can increase and help further brand you as an expert in your field. Research, research, and then research some more. Know your topic like the back of your hand. Plan your chat. Know what interests your audience. While topics will not always resonate with everyone, you can choose a high-level topic theme that will be generally engaging to all. Limit your chat to an hour or so. This may seem long, but a Twitter chat can fly by. Ask questions and allow others to respond; keeping in mind that your chat is a two-way street. It’s not a bad idea to even field more questions that can be answered. This way, the conversation can keep forging ahead. Perhaps the most important thing to remember is to have fun. Why not think of your chat as the perfect online party? If you’re hosting with a partner, have that partner back you up along the way. It’s like having an extra set of eyes. Simple little things, like labeling your chat questions, “Q1, Q2, Q3…” can go a long way in keeping your questions and answers organized. Rule your Twitter world with awesome chats. It’s a fast, inexpensive, and effective way to build your online brand. 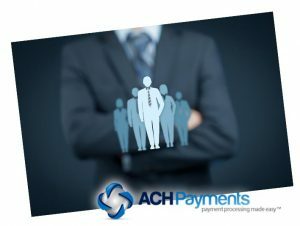 ACH Website Payments – Is PCI Compliance Required? 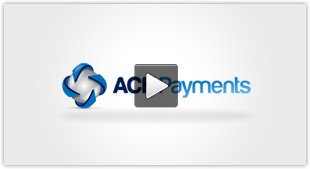 What is an ACH Payment Gateway?